Last week, we found out that the Galaxy Nexus on Verizon would be receiving an update within hours of activation. 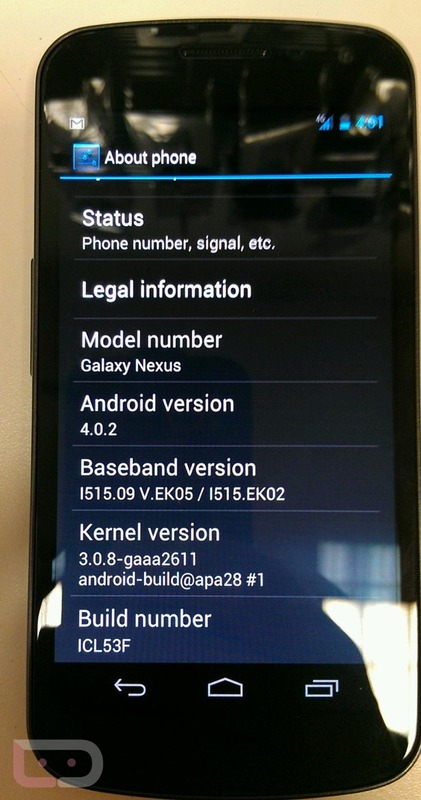 That update, will apparently be Android 4.0.2 according to the demo unit we have pictured above. A number of sources reached out this morning to let us know that their devices were receiving a bump, and here is your proof. 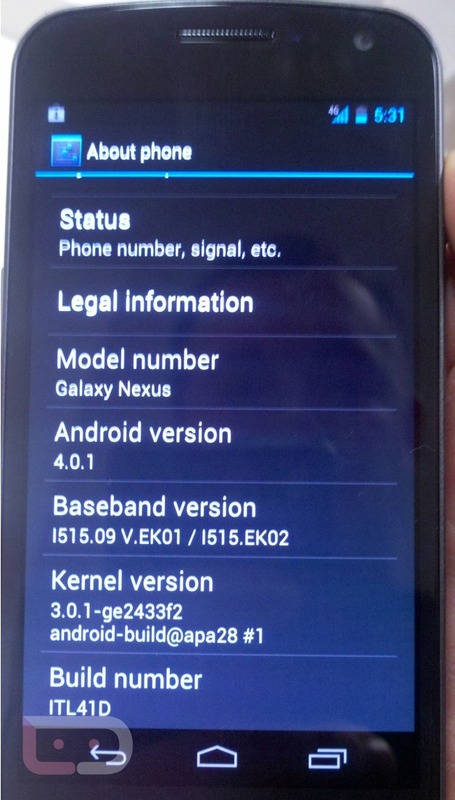 Build number is ICL53F and is newer than the 4.0.1 (ITL41F) that the GSM version has. There may not be a ton of cosmetic changes over 4.0 or 4.0.1, but according to our source, the radio/baseband has changed from EK01 to EK05 which usually means better network connectivity and call quality. Here is a look at the 4.0.1 About screen. Cheers Jason Kline in Indianapolis!